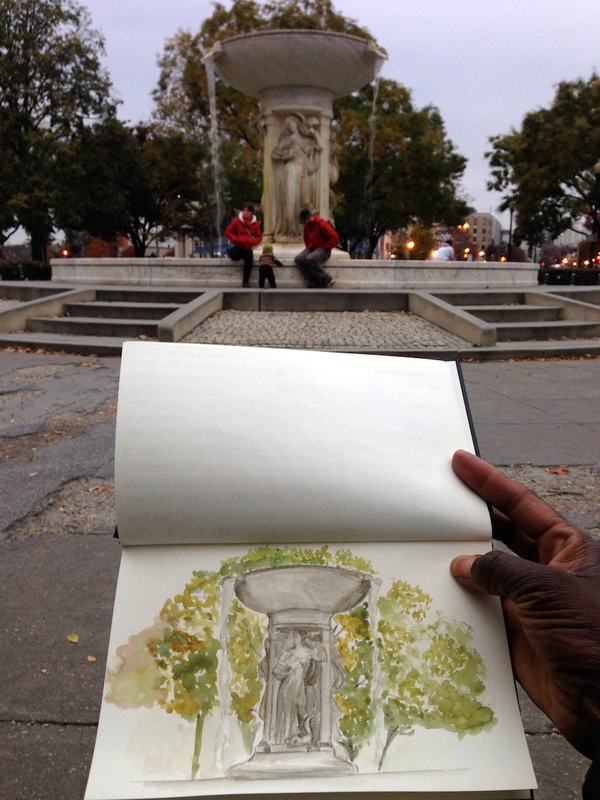 The Dupont Circle is a great place to sketch. It has a beautiful fountain right in the middle of it, dedicated to Samuel Francis Du Pont, an American Naval officer. There used to be a statue of him instead of the fountain, but it was replaced in 1920. The fountain, depicting three statues representing the sea, the stars and the wind, was designed by architect Henry Bacon and sculptor Daniel Chester French, who also created the Lincoln memorial. 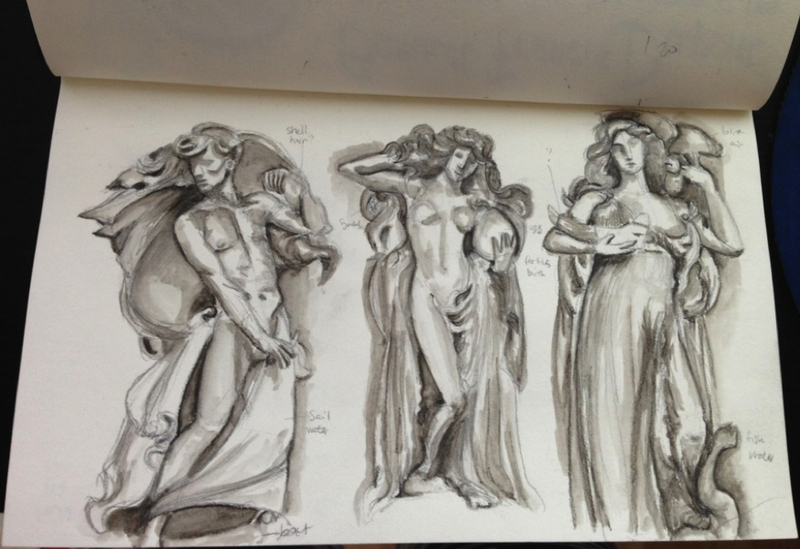 Since it wasn't too cold that day, I decided to sketch the fountain. While I was sketching, there was a couple of kids trying to give free hot chocolate to passerby, but no one seemed to be interested. Some of the kids who were probably bored, decided to run around the fountain and one of them actually fell in the water. I can imagined, it probably wasn't fun, but it cooled him down. The one with the man standing in front of what looks like a sail boat and holding a conch represents Wind. The one with the woman holding what looks like a planet (maybe Saturn, because of the ring) and holding her hair up on one side is said to represent the Stars. The one with the woman holding something that resembles a boat, with a bird on one shoulder while stepping on a fish, is said to represent the Sea. Nice job! I enjoyed your post.